How do we make a Crown? We use crowns and/or veneers to change your smile if you have imperfections with your teeth such as discolouration, broken or uneven teeth. 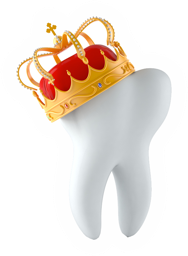 Crowns are made from just porcelain, porcelain bonded to metal or just metal and we offer a range of different types of crowns at various different prices. This lady hated her crooked teeth and didn’t want to go through orthodontic treatment. After whitening her lower teeth and some of the top back ones, we then restored her upper teeth based on veneers and crowns creating the ‘perfect arch’ for her.